When you commit to a fitness program like Body Beast, nutrition plan and eating healthy will help you build mass muscles! This all-in-one bodybuilding, nutrition, and supplement system can get you the massive muscles you always wanted but it all starts with YOU in the kitchen. You can work out consistently but if you eat crappy food or too much, you won’t get the results you are looking for. You must eat the right foods and the right amount of food every day. If not, you are wasting your time friends. 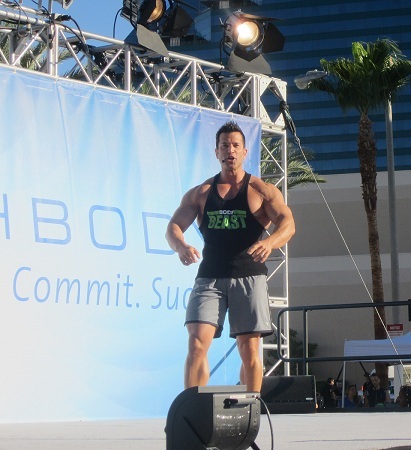 In this article, you will learn how to get that ripped physique with “Body Beast nutrition plan and eating healthy” every day. You want to build mass right? It’s likely that you have not done it successfully before or you wouldn’t be researching it. Maybe you didn’t know how. Really, we are not expert right? That’s why this bodybuilding program comes with an Eating Plan. It was created by an expert who knows how to get the best bodybuilding results. You will learn how to get huge and it will cost you much less than a gym membership. If you want to increase in size and maintain that new muscle growth, you need to have the right amount of calories, food, and macronutrients. The Eating Plan teaches you healthy ways to eat so you don’t have to figure it out. It also shows you how to figure out the required calories. All you have to do is follow the Body Beast nutrition plan and eating healthy for best results. There are also safe and effective Beachbody supplements that are all natural to help you get BIG! There are three phases in this mass bodybuilding system. Here are the goals of each phase. Build. This phase is designed to create a strong physical and nourishment foundation which you will build on later in the workouts. Build is your most important phase because of setting the foundation, so pay attention and be sure to follow it. Bulk. In this phase, you’ll be adding mass and seeing some gains in muscle size. You will be guided through eating the right amount of bulking up protein and the high-carbs to provide energy needed for the workouts. If you want to keep up, then follow the eating plan! Beast. Finally, the last phase, where you will be stripping away the fat that’s been covering your muscles! Here’s where your diet changes to high-protein, low-carb. In this phase, let the muscle chiseling begin! Believe me, you’ll be consuming some massive calories when you use the Body Beast Nutrition plan and eating healthy for the duration of the program. But you’ll need to if you want results! This program is focused on one thing: GETTING BIG! Now go do it! Now that you know the importance of the Body Beast nutrition plan and eating healthy, make a commitment and get started today!